Panes’ debut album, ‘Little Giant’, wasn’t a collection operating at the vanguard of a cutting-edge, ultimately transient scene worthy of clicks for the next few months. It wasn’t an album that set out to trick its audience in any way – what you hear is succinct, honest songwriting, from a place of deep personal expression, resonating with universal truths and values. His follow up record ‘Paperweights’, is equally truthful, with a sound matured, richer but no less authentic. Don’t mistake confidence for arrogance – such statements come from a sincere place, as Panes’ upbringing in Wimborne, once home to novelist Thomas Hardy, proved more inspirational to his writing than any sessions in the company of a parent’s record collection. The natural beauty of Dorset’s open spaces – and those of the Lake District, a place he loves to visit – have become woven into the fabric of his craft. The peace, the silent solitude: it’s here that Panes feels more alive with ideas than he does in the hubbub of his adopted home of London. There’s a pastoral warmth to his music that couldn’t have manifested had its roots been laid within urban limits. The comfort of home, of a tight and supportive family, punctuates throughout Panes’ writing and recording– which is perhaps inevitable, as both his debut album and some of the recently released Paperweights, were recorded there. The new album sees Roo work once again with producer Rupert Coulson – a man with numerous soundtrack credits, as well as experience of working on records by Portishead, Robbie Williams and Oasis. Roo says: “I’m a really big fan of the idea that you don’t need all the stuff you find in a big studio – it’s about how you use the things you do have. Rupert had a lot of imagination, and got a good grasp of the room and harnessed it. Not one to pass up a chance to push himself, and a naturally optimistic individual, Panes has himself taken unexpected detours on his journey to this memorable debut. He was, briefly, the face of a Burberry campaign, something he describes as “random”. “I was on tour,” he says, “and I got a phone call asking me to do it. I just grabbed the opportunity that was in front of me. I went in a musician, and came out a musician. It’s a short episode in my life, but one that’s had some quite big repercussions.” Indeed, a Google search pulls up many attractively composed black-and-white photographs of Panes sporting fine threads – but it’s music that surges strongest in his veins, above all other passions. 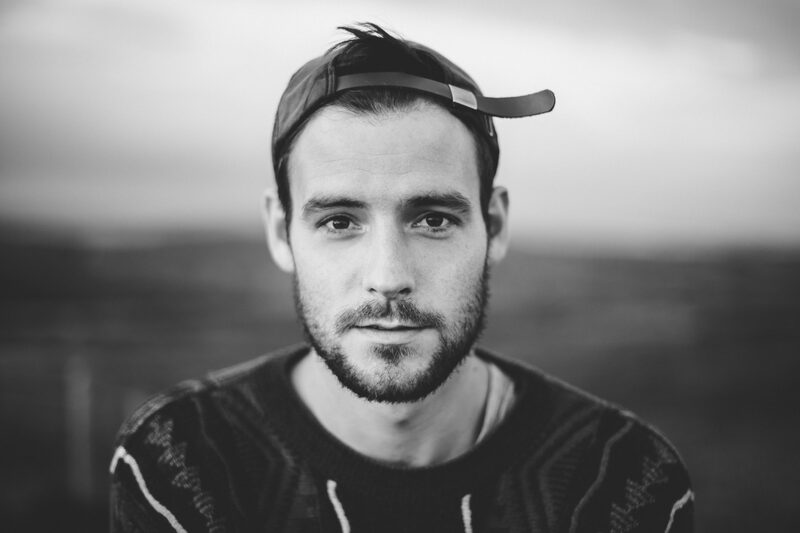 And now that you’ve separated your senses from social media for a while, closed your chattering inbox, just what does Roo Panes offer above more garden variety singer-songwriter recordings? A little patience provides the answers: this is material that truly connects on an emotional level, its gentle rhythms and compelling cadences topped by vocals that can’t be faked, that come characterised by a complete lack of artifice and affectation. His is a deep voice, one that sounds aged beyond its years, perhaps. And yet, it’s telling of timeless stories, endless ache and forever love. It asks that we all find the right way to see the world around us. Es kann mitunter recht anstrengend sein, mit dem rasanten Tempo des Lebens im 21. Jahrhundert Schritt zu halten. Jeder ist mit jedem vernetzt, unsichtbare digitale Lebensadern verbinden uns und spannen sich rund um den Erdball. Und wenn wir morgens aufwachen und uns zur Seite drehen, schauen wir oftmals nicht als erstes in das Gesicht eines geliebten Menschen, sondern starren auf ein leuchtendes Retina-Display. Selbst Musik kann sich in diesen Zeiten wie eine Überforderung anfühlen: Das Neue rast so schnell auf uns zu, dass sich selbst die kleinste Pause anfühlt, als würden wir alles verpassen. Richtet man seine ganze Aufmerksamkeit aber ab und zu auf eine einzelne Sache – eine Stunde für einen Künstler und ein Album –, ist das nicht nur gut für die Gesundheit, sondern bietet zudem noch einen unerwarteten Zugang zu einem Talent, das andernfalls in der Hype-Kakophonie unserer Zeit durchaus hätte untergehen können. Roo Panes ist ein junger britischer Songschreiber mit einer Gitarre vor der Brust und einem Herzen voller Hoffnungen und Träume. Ein oft gehörtes Konzept, sicher, und auch eines, das schon tausend Mal zuvor verkauft wurde. Aber der in der Grafschaft Dorset geborene Panes bietet etwas Besonderes für diejenigen, die den Willen haben, darauf zu warten, dass sich ihre Lieblingslieder entfalten und ihren Platz finden. Mit seinem Debütalbum Little Giant legte es Panes nicht darauf an, zur Speerspitze einer topaktuellen, im Grunde aber äußerst kurzlebigen Szene zu gehören, die für wenige Monate Unmengen an Klicks generiert. Diese Platte war nicht darauf aus, seinem Publikum etwas vorzumachen, sondern bietet stattdessen auf den Punkt gebrachtes und ehrliches Songwriting, das sich aus einer tiefen persönlichen Ausdruckskraft speist und allgemeine Wahrheiten und Werte aufgreift. Der Nachfolger Paperweights ist ein ebenso grundehrliches Werk mit einem gereiften, komplexeren Sound, der dem Album aber nichts von seiner Authentizität nimmt.